Auto manufacturers continue to whittling down the number of unidentified vehicles equipped with potential shrapnel-shooting airbags a month after Japanese parts maker Takata deemed the safety devices defective. The latest round of expanded recalls goes to Toyota, which added another 1.37 million to its recall list. Reuters reports that Toyota’s recall involves 1.37 million vehicles using front passenger-side airbags with inflators that can rupture with enough force to injure or kill occupants upon deployment. Newly identified vehicles include model year 2003 to 2007 Corolla and Corolla Matrix, model year 2005 to 2006 Tundra, model year 2005 to 2007 Sequoia and model year 2003 to 2007 Lexus SC430. 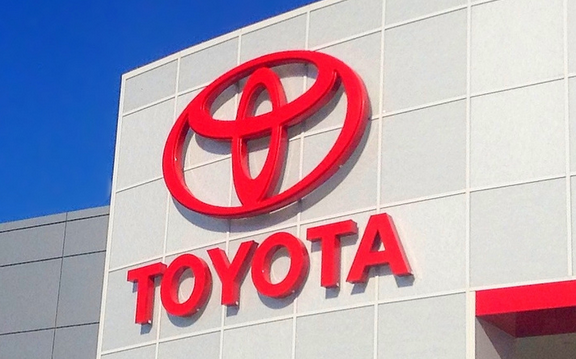 The company says the expansion brings the total number of Toyota and Lexus vehicles recalled in the U.S. to 2.9 million. A spokesperson for Toyota says that the company is unaware of any injuries or fatalities related to airbag deployments in the models recalled on Tuesday. Reuters reports that the automaker has identified 24 incidents of improper deployments – including eight reports of injuries – of Takata airbags in its vehicles worldwide. Manufacturers have scrambled in recent weeks to identify millions of vehicles that include Takata safety devices linked to at least seven deaths and more than 100 injuries. While about 17 million of the 33.8 million vehicles with the airbags had already been part of recalls by major automakers, millions of others had yet to be identified, leaving consumers wondering if they’re driving around with what some people have likened to an explosive device in their steering wheel. Toyota’s recall comes just hours after Honda announced it had recalled an additional 1.39 million Accord and Civic sedans also for defective passenger-side airbags. Regulators with the National Highway Traffic Safety Administration have said that identifying affected vehicles will likely be just one hurdle consumers will face when it comes to the Takata recall. The parts manufacturer has struggled in recent months to meet the demand for replacement airbags. The company recently announced it would increase its output of new parts to one million per month later this year.